What happens when you add a small virtual jewelry shop and a “customer happiness" meter to a Match 3 gemstone game? Well, you get Gem Shop, a nice little game that tests how quick you are in match 3 type of puzzles. The objective of the game is to match colorful gems to design a diamond ring, bracelet, gold chains and other jewelry quickly and sell them to the customer. 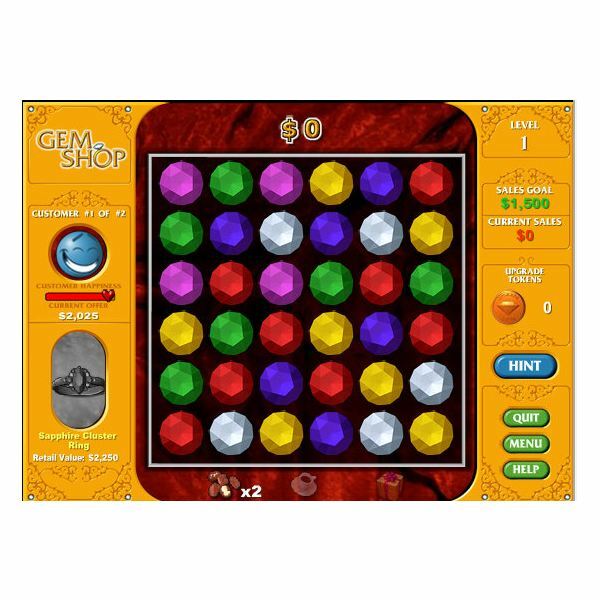 In Gem Shop, you are the owner of a jewelry retail store. You must be quick in matching gems and designing jewelry for the waiting customers, sell them and meet the sales goal. Delay in matching gems could mean customer dissatisfaction and this will show up in the customer happiness meter. Once the meter reaches 0, the game will end and you will have to start again. Each successful design will add cash to your current sales meter and you will advance to the next level. 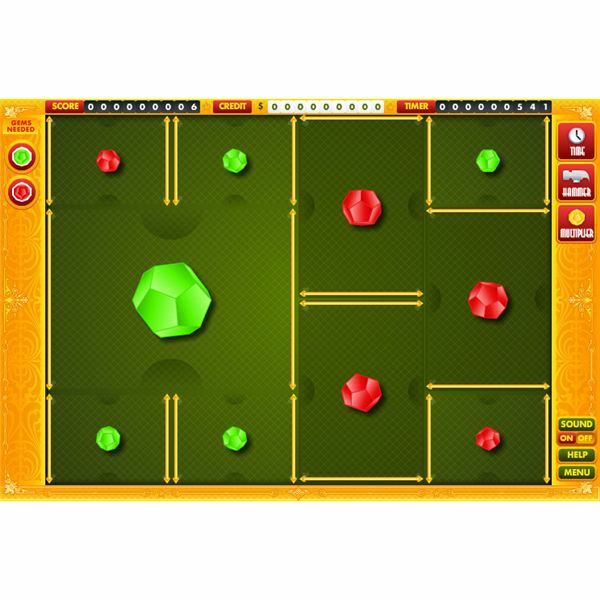 The game’s quite fun as it has different objectives and not just a plain timer-based Match 3 game. 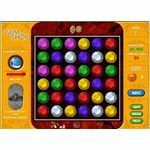 In this gemstone game, colorful hexagonal gems have to be matched in order to collect points. But the gameplay is slightly different. Instead of switching two gemstones, you have to rotate a set of three hexagonal gems clockwise or anticlockwise to match their colors with other gemstones. 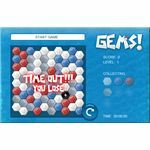 The main objective is to collect red, blue, white gems by matching them quickly. In Gems 2, the entire setup looks like a mini beehive, and so matching gems by rotating a set of 3 hexagons can be quite challenging. What’s more, there’s a timer that runs off quickly if you are too slow to match 3 gems. 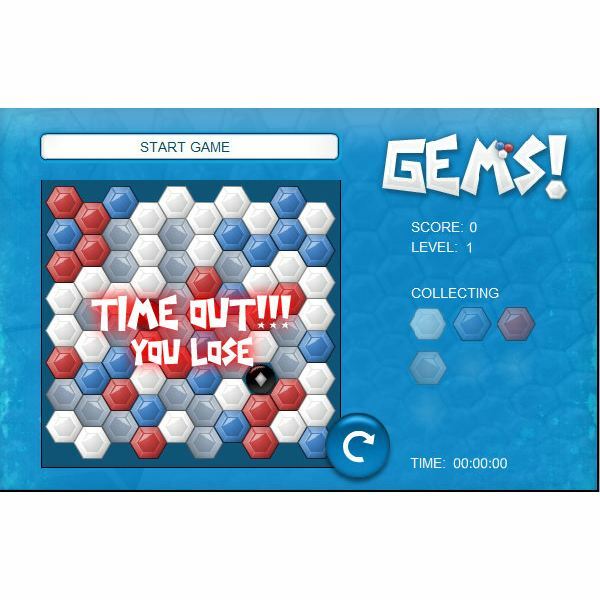 This makes Gems 2 quite addictive and different than the usual gemstone games. Gemstones don’t have to be a part of Match 3 games every time. And that is exactly what occurred to the developers of Gem Works. This unique gemstone game is all about combining two gems of similar colors to create a larger gemstone. You will have to swap the position of the gems to combine them with gems of similar size and color. In order to finish the level, you will have to add the combined gems in the gems needed list. Each level will require you to add 2, 3 or more green and red colored gems to list. The game’s not easy as it seems. There are dividers around the gem that change their position after each successful combination. You will have to swap the right gems according to the orientation of the dividers. With each level, combining two gems will become difficult, and so before swapping make sure you don’t get locked within the dividers. 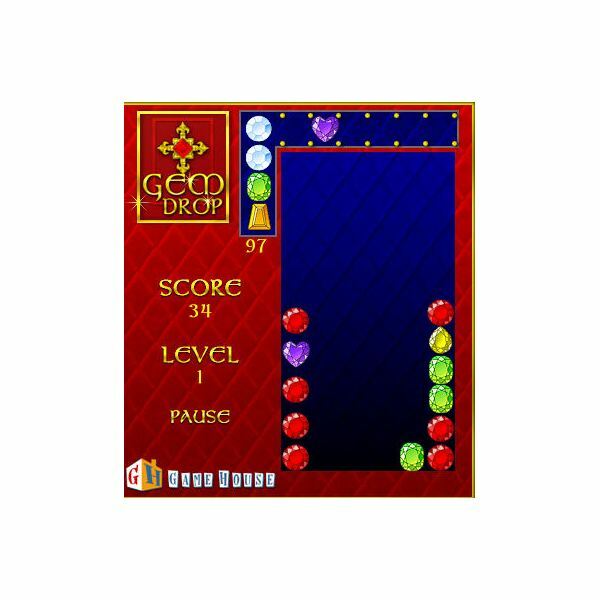 Combine Tetris with a Match 3 gemstone game, and you have Gem Drop, a challenging game that requires quick reflexes. You will have to drop gems to their right place quickly to match same-colored stones. A slight delay will quickly fill up the board and you will have to start again. In Gem Drop, you will have to move your mouse to set the position of the gem before they land on to a pile of gems. You will have to be quick to set their position; else they will drop on their own. Once three or more gems get matched, they will disappear, giving room to other stones ready to be dropped. 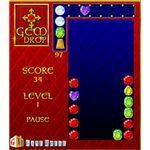 If you are looking for challenging gemstone games, then you must play Gem Drop.